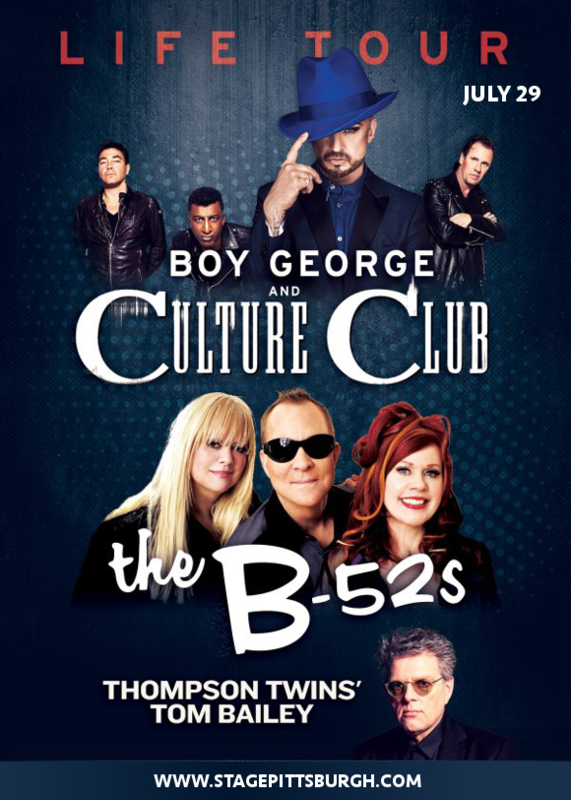 80s music fans, get ready for a show by the darlings of the era – none other than Boy George and the Culture Club are on their way to perform live at the Stage AE on Sunday 29th July 2018 with support from the Thompson Twins' Tom Bailey – it’s going to be amazing! Don’t miss out – get your tickets NOW while you still have the chance! Comprised of lead singer Boy George, guitarist Roy Hay, bassist Mikey Craig and drummer Jon Moss, the Culture Club are without a doubt one of the most iconic groups of the 80s. With a series of smash hits including “Karma Chameleon,” “Do You Really Want To Hurt Me,” and “Time (Clock Of The Heart)” the synth pop group made waves both for their incredibly catchy songs as well as Boy George’s androgynous aesthetic. Their second album, “Colour by Numbers", sold more than 10 million copies across the world and was included on the Best Albums Of The 1980s list by Rolling Stone magazine. In 1984, the group went on to win two Brit Awards in addition to the Grammy Award for Best New Artist. "Time (Clock of the Heart)" is list on the Rock and Roll Hall of Fame's compilation of 500 songs that shaped rock and roll. Get ready to see one of the most iconic and influential bands of the 80s live – what are you waiting for?? Grab your tickets to see Boy George and the Culture Club today, while stocks last!